Vocal cord cysts, also known as vocal fold cysts, are non-cancerous growths that generally develop when a person somehow misuses or overuses their voice. The incidence of vocal cord cysts is unknown but the incidence is much higher among individuals who use their voices as part of their profession. For example, celebrity Rachael Ray was diagnosed with a vocal cord cyst. In addition to cysts, polyps (an overgrowth of tissue that usually arises from a mucous membrane) and nodules (an undefined mass of tissue that is usually not cancerous) can also form on vocal cords. While nodules and polyps are difficult to differentiate, vocal cord cysts are much easier to identify than the other two. Actress and singer Julie Andrews lost her singing voice due to nodules on the vocal cords. Sometimes there is vocal cord thickening on the opposite side of the growth. Allergies and other irritants such as reflux laryngitis can also contribute to the formation of abnormal growths on the vocal cords. Three major types of cysts are commonly found on the vocal cords. Mucous retention cysts, are filled with clear fluid and originate from cells lining the respiratory tract. Poor voice hygiene is often the cause of mucous retention cysts. Epidermoid cysts, or squamous inclusion cysts, are made of epidermal (skin) cells and keratin. Epidermoid cysts most typically are caused by vocal cord abuse or excessive hard coughing. Oncocytic cysts, or salivary gland epithelial cysts, are rare and most commonly due to age. Diagnosis of vocal cords can be performed by laryngoscopy with a special light called a stroboscope. This will allow your otolaryngologist to visually check your vocal cords and determine the impact the cyst has on the vocal cords vibrations. 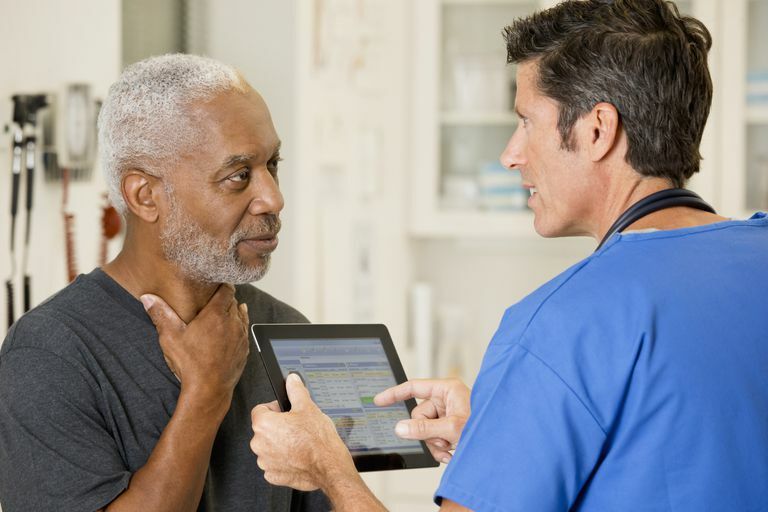 Prior to any major treatment, your physician is likely to prescribe voice rest and then repeat the laryngoscopy in order to visualize any changes that occurred while resting your voice. The first treatment is actually just a removal of instigating risk factors. Your physician will usually prescribe voice rest and teach proper voice hygiene. Often, speech therapy is beneficial. Speech therapists can teach you ways to reduce vocal cord abuse and use your voice more efficiently. Surgery is reserved for cases where your voice is significantly impacted and is not usually a first line treatment. American Academy of Otolaryngology - Head and Neck Surgery. Fact Sheet: Nodules, Polyps, and Cysts. Cardesa, A. & Slootweg, P.J. (2006). Pathology of the Head and Neck. Springer Science & Business Media. New York. Cipriani, N.A., Martin, D.E., Corey, J.P., Portugal, L., Caballero, N., Lester, R., ... Taxy, J.B. (2011). The clinicopathologic spectrum of benign mass lesions of the vocal fold due to vocal abuse. Int J Surg Pathol. 19(5):583-7. doi:10.1177/1066896911411480. Schweinfurth, J. & Meyers, A.D. (2014). Vocal Fold Cysts. Is Vocal Cord Dysfunction the Same Thing as Asthma?